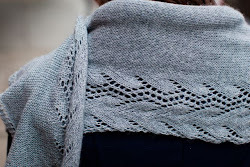 The Holey Hug Shrug KAL starts tomorrow! In preparation for the KAL I've swatched with Lotus Yarns Bamboo Soft. It's 100% Bamboo, and ridiculously soft and has a beautiful sheen and drape. This is not an aran weight as the original shrug in the pattern, though I don't think it's sport as listed on Ravelry either. I'd say it's more of a DK/light worsted. 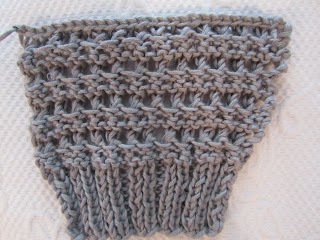 However on size 8 (5mm) needles I am able to get gauge (this photo is before I washed the swatch). Yes, you should always swatch and you should always wash your swatch! Why? 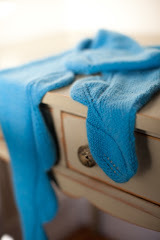 Because you will (hopefully) wash your garments once they are knit, and when you do they will grow. If you've accounted for this when you swatch you won't be surprised or horrified when you wash your garment and it grows. This is particularly important with lace, when things tend to grow a lot more than they would appear. 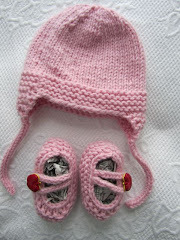 You can participate in the KAL by going to the Ravelry group here: Mari Knits Ravelry Group. 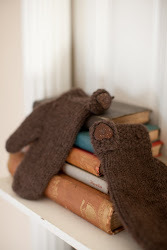 Here are some notes I posted on the Ravelry group about deciding on what size to knit. The schematic shows the width of the ribbing for each sleeve, 10(11, 12, 13, 14, 15, 16)”, this can be a good way of deciding what size would fit you best, since the rest of the shrug is pretty loose. So, get someone to help you to measure the top of your arm, at the widest point. Turns out mine is 12”, so I’m going to knit the third size, a size M.
To make the sleeves longer, knit extra lace repeats in the very middle of the shrug. I’ve swatched with a lovely bamboo yarn, and have gotten gauge. I’ll try to post a picture of my swatch tomorrow with natural lighting, and then cast on Sunday morning. Please feel free to post your progress pictures and discuss any questions. Also, I’m thinking I’m going to knit this one in the round, and I’ll post notes on that when I cast on and decide just how I’m going to pull it off. That's going to be really pretty, I'm excited to see your progress through it.